Cristy Burne has joint New Zealand and Australian citizenship, has travelled widely and lived for several years in Japan as a teacher and editor. It was during this time that she became fascinated with Japanese folklore and the supernatural yokai - demons - which are very much a part of Japanese culture, but little known outside Japan. 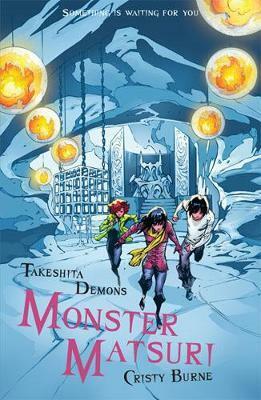 She won the Voices on the Coast Youth Literature Award for emerging writers, in Queensland, Australia, but Takeshita Demons was her first published book. Cristy and her family live in Perth, Australia. SIKU is a well-known illustrator for comic books and graphic novels, working for the major companies in the field, including 2000AD Magazine and Marvel Comics. His best-known book is The Manga Bible. Siku lives and works in London and Essex.